Sometimes, your marriage can be helped a lot by good examples of healthy marriages. Growing up, I saw marriages that were unhappy – and filled with arguments simply because spouses chose to disagree with each other about everything. I knew if I ever got married – and honestly, I didn’t think I wanted to get married if marriage left me feeling miserable every day – I needed to respect my husband’s own opinions. And I needed to look for a husband who would respect mine. 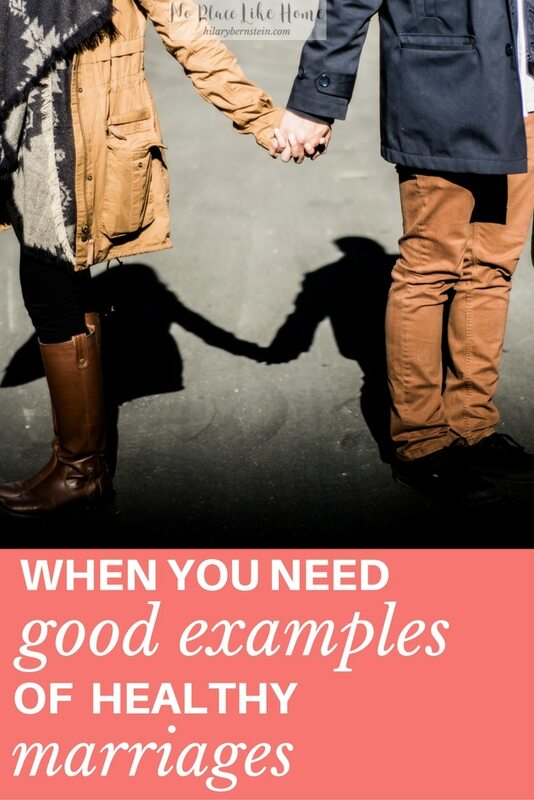 Take a minute to think about the examples of married couples you have in your own life. How are their marriages? How many years have they been married? What things do they seem to do well together? What are some of their shortcomings? It might be hard to think of long-lasting marriages. And it might be even harder to find a happy couple in a healthy, Christ-honoring marriage. If you weren’t raised with the best examples of marriage, don’t lose hope. You don’t have to feel like you’re doomed to repeat broken relationships you’ve seen. You may have to work harder to create a satisfying marriage, but it’s still possible. 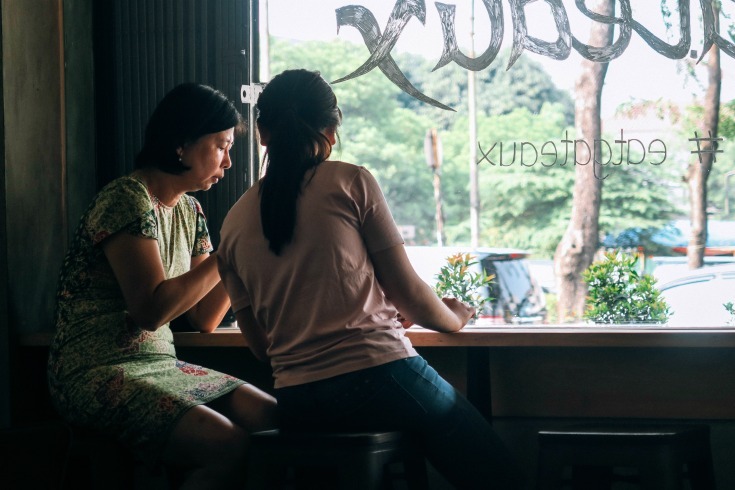 When you long to maintain (or create) a satisfying marriage, one approach to take is to simply avoid the pitfalls you’ve noticed in other marriages. If you’ve watched broken relationships, it can be easy to see what went wrong. Chances are you may be able to pick out the struggles. Instead of repeating mistakes you’ve seen made, avoid the obvious. Pray and choose to work together with your husband. By the grace of God, I did eventually get married. I married a husband who asks for and respects my opinion, and I ask for and respect his – whether we may or may not always agree. Our marriage brings satisfaction instead of misery. Another solution I personally love is cultivating friendships with older wives. Since they’ve experienced a lot more of life than I have, I appreciate their wisdom and advice. And, frankly, I like learning from their mistakes. Even if I only get to talk with them every now and then, I try to soak up the life experiences they share – they might only mention things in passing, but I especially listen whenever they share what they’ve learned in their marriage or parenting. Once you have found what you want to copy in your own marriage, then follow through. Try what sounds like it might help your marriage and see what happens. If something seems to work for you and your husband, then keep doing it. If it ends in disaster, by all means try something else. Wish you could understand what makes your husband tick? Sign up for my free 7 Days to Understanding Your Husband Better Challenge! The important part is to keep working at your marriage. Try and try until you find what works well for you and your husband – I promise that this will be different for every single couple. When you find what helps you, keep it up until it doesn’t help any more. And if nothing seems to help, try something else. Whatever happens, don’t give up. Keep praying about your marriage. Keep praying for your husband. Keep praying about yourself as a wife. And then keep trying. As you look for good examples of healthy marriages and attempt to mimic them, you might be surprised at how your own marriage improves. 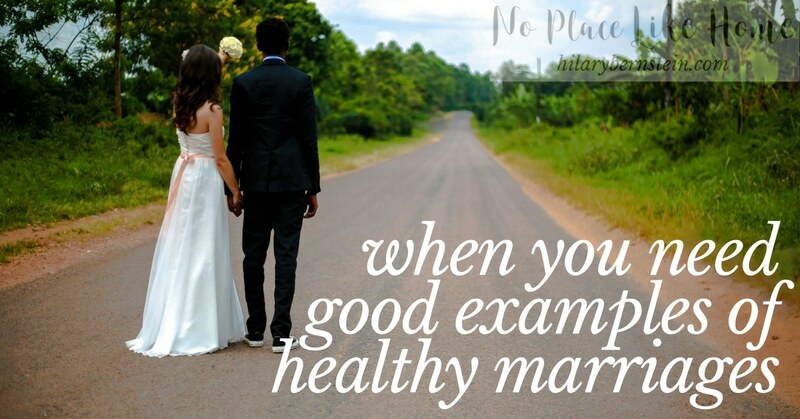 What are some of the things you have learned from good examples of healthy marriages? « Who Is Right in Your Marriage?